Mr. Gbenga Adegbiji is the General Manager of MDXi Data Centers, MainOne’s Data Center Subsidiary. 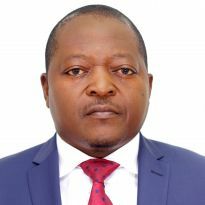 He is a seasoned IT/Telecommunications Infrastructure professional with over 20 years of experience in Data Center, Telecommunications, IT Infrastructure and Project Management. He holds numerous degrees in Engineering, Management and Business, from the University of Lagos (BSc); the Lagos Business School (GMP) and the Manchester Business School (MBA). He is a Corporate Member of the Nigerian Society of Engineers (NSE) and The Nigerian Institute of Electrical & Electronics Engineering (MIEEE). He is also a Certified Project management professional of the Project Management Institute since 2007, a Certified Date Centre Expert (DCE) and an Accredited Tier Designer (ATD) of the Uptime Institute. His various societal development and professional accomplishments has attracted the attention of various Leadership Institutes, notably the Dale Carnegie Institute, who conferred on him the Dale Carnegie Leadership Award in 2014. He is happily married with 3 children.